The 410B heavyweight cut resistant food handling glove has been re-engineered for 2017 to now offer extreme levels of cut resistance, which will be level F under EN388: 2016. 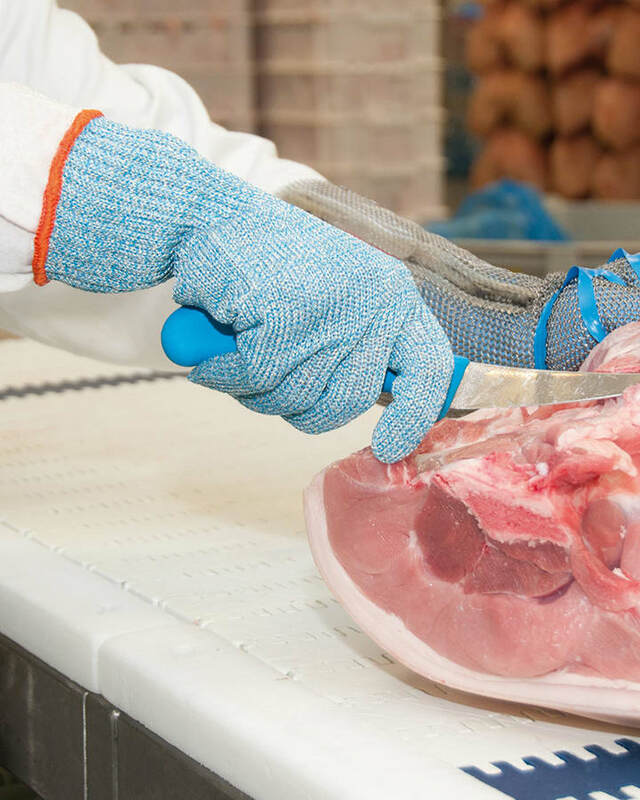 Designed to withstand the toughest of meat processing environments, the glove can be used for medium to large meat carving, deboning and butchery work. The heavier gauge knit is tough and durable and able to be industrially laundered at up to 92°c to ensure all bacteria is removed.